Versailles, 14th October 2015. – Back in October 2011, the Mont-Blanc consortium launched the first phase of a project aimed at exploring an energy-efficient alternative to current supercomputers, based on low-power mobile processors, with the ambition of setting future HPC standards for the Exascale era. Four years later, the Mont-Blanc project has indeed given birth to a fully functional prototype that allowed project members to demonstrate the viability of using European embedded commodity technology for High Performance Computing. The project also defined a set of developer tools and ported real scientific applications to this new environment. More globally, the project has given good visibility to the concept of using mobile technology for HPC. Developing the matching software ecosystem to pave the way for market acceptance of ARM solutions. 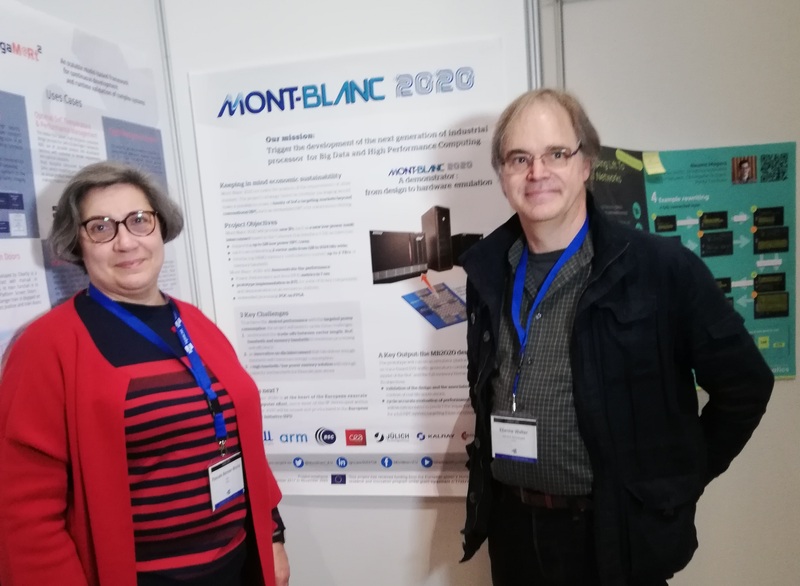 The third phase of the Mont-Blanc project is coordinated by Bull, the Atos brand for technology products and software, and has a budget of 7.9 million Euros, funded by the European Commission under the Horizon2020 program. 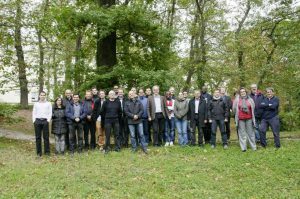 It was launched on 14th October at the University of Versailles Saint-Quentin-en-Yvelines with a kick-off meeting that gathered representatives of all partners. Within a few years from now, supercomputers are expected to reach the Exaflops (1018 Floating point operations per second) levels of performance within a power budget of 20MW. This implies that energy efficiency must increase by a factor of 10, compared to the most efficient current supercomputers. Scaling of current technologies will not be enough to meet this target. “Power consumption is a major hurdle in the race to Exascale, and the path explored by Mont-Blanc is extremely promising. Mobile chips have very low power consumption, and previous Mont-Blanc projects proved that they are capable of sustaining HPC workloads, with a small loss of performance largely compensated by increased cost efficiency. We are confident that mobile commodity technologies can be leveraged for scientific computation, and will be at the heart of some of the first exascale supercomputers” says Etienne Walter, new coordinator of the Mont-Blanc 3 project. Academic/research HPC centres: Barcelona Supercomputing Centre (Spain), Swiss Federal Institute of Technology in Zurich (Switzerland), CNRS (CNRS/LIRMM – France), University of Stuttgart (HLRS -Germany), University of Cantabria (Spain), University of Graz (Austria), University of Versailles Saint Quentin (France).